Whether you’re an amateur or a pro, there are wonderful spots around the Summit City to snap beautiful photos, no matter what time of year. 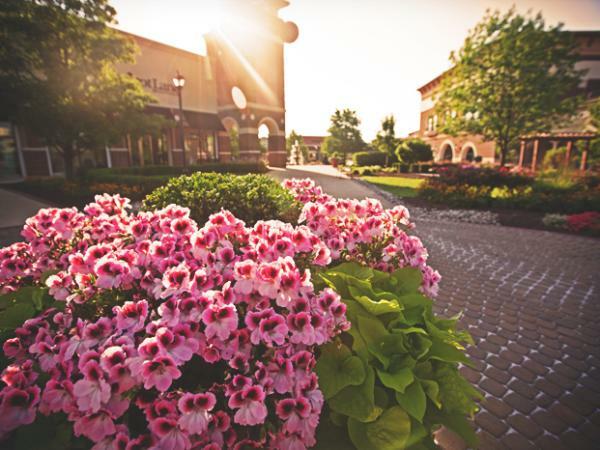 Take a walk through the gardens of Foster Park and Lakeside Park. These two gems are beautifully landscaped to capture the colors of each season. Foster Park is best known for their massive springtime bulb display, while Lakeside Park wins awards for their rose gardens every year. 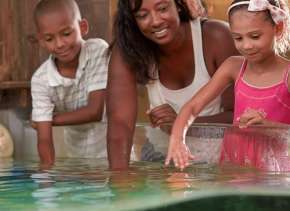 Check out the Fort Wayne Children’s Zoo, open April-October. Their magical menagerie features animals from around the globe. No matter where you point your camera, you’ll be sure to capture something enchanting on your photo safari. 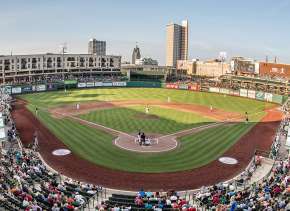 You can also enjoy great views from any seat at Parkview Field. 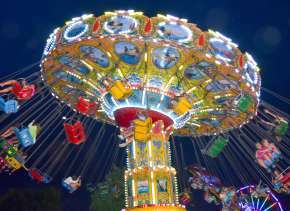 Catch the action in one of America’s top-rated minor league stadiums, and stroll the promenade, taking in the panoramic views of Downtown. For the more adventurous, check out a river tour for great views of the city you can’t see on land. Kayaks and canoes can be rented at Fort Wayne Outfitters. Looking for dazzling fall foliage? Explore Fox Island’s miles of wooded trails, including a special trail for exploring autumn colors. A large lake encircled by trees in multitudes of hues presents a beautiful place for a fall picnic as well. The county park and state nature preserve is located southwest of Fort Wayne near Interstate 69, exit 302. From pumpkin patches to apple orchards and fall festivals there are dozens of places to snap a great family picture - including the Kuehnert Dairy Farm & Fall Festival, Cook’s Orchard and Farm, Hilger Family Farm, or DeGrandchamp’s Pumpkin Patch. 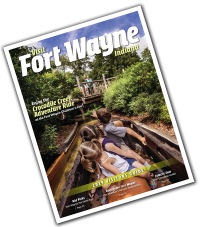 If you’d like to take it a little easier, explore any of Fort Wayne’s parks. Hidden in Headwaters Park downtown, you’ll find a bridge connecting you to The Old Fort. 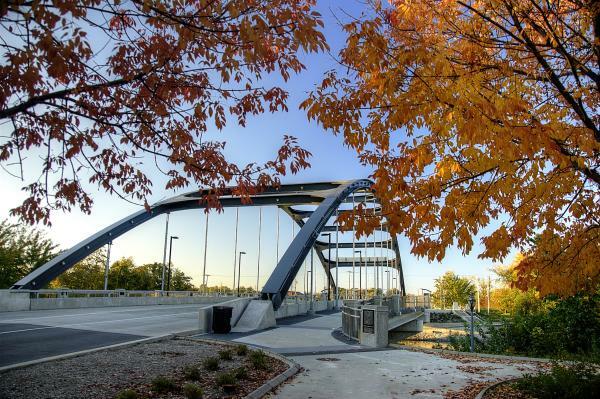 The apex of the bridge offers a great view of Downtown’s buildings that look spectacular when framed by the changing leaves. Shoaff Park is known for its sledding and snowy vistas. The rural setting of this park and golf course make it a perfect place to snap pictures of wintery scenes. If you’re feeling even more adventurous, bring your sled and take an action video of your ride. 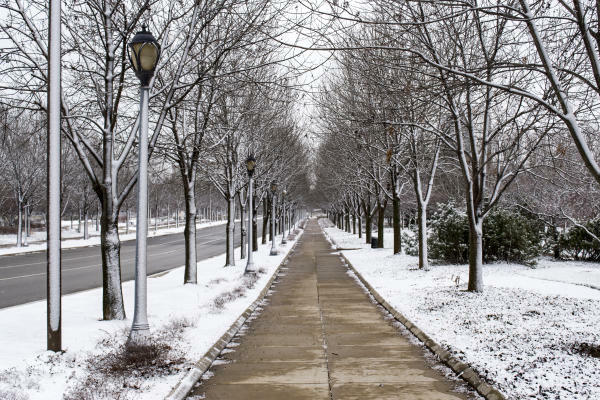 Nearby Metea Park also offers five miles of trails to take in the crisp winter air and stroll in the freshly fallen snow. In addition, you can bundle up for more sledding at Franke Park or skating at Headwaters Park! Of course, if you aren’t an outdoor person, you can head to the Botanical Conservatory for some indoor photography. Warm up your winter with photos of beautiful tropical and desert plants. You’ll also love our many indoor holiday displays at the Botanical Conservatory, the Festival of Trees at the Embassy Theatre, the Festival of Gingerbread at The History Center, and more!